In recent years, the news has been full of whistleblowers exposing illegal activities of their companies. We may all have heard about whistleblowers, but how well do you understand and know what a whistleblower really is under the law? And what are those whistleblower protections? Generally speaking, and under federal law, it is important to know a couple key laws: Section 21F of the Securities and Exchange Act of 1934—a section that was added by the Dodd-Frank Wall Street Reform and Consumer Protection Act of 2014, commonly known as the “Dodd-Frank Act”—and the Sarbanes-Oxley Act of 2002 (“SOX”). Before we get into a discussion of how these laws protect whistleblowers, we will begin by saying a bit more about how federal law typically defines a whistleblower. 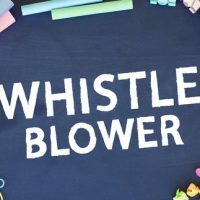 In generally, a whistleblower is an individual who exposes an illegal activity of their employer by making a complaint to the employer or even the government. Whistleblowers enjoy protections under state laws – like Florida Statute 448.102, but also can find protection under many different federal laws – depending on what action provides the basis for their complaint. Here, we examine protections under a few federal laws – typically reserved for whistleblowers in a business or financial setting. Take, for example, the case of three whistleblowers who collectively (and anonymously) received more than $7 million from the SEC in January 2017. Indeed, to protect the anonymity of the whistleblowers, the SEC heavily redacted their order, while still providing these three participants with compensation for their assistance to the government. Reducing the employee’s pay or hours or employment. Expands the anti-retaliation provisions of the SOX for whistleblowers in particular situations. If you are a whistleblower and have been subject to retaliation, you may be able to file a claim. A whistleblower lawyer in Florida can answer your questions today. Contact Scott • Wagner and Associates to discuss your case.